Super Savings! 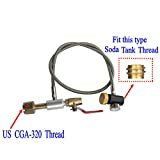 Up to 40% off on Soda Maker Parts & Accessories at Mint MD. Top brands include GFSP Outdoor Sports, Trinity, SodaPlus, Hamilton Beach, iSi North America, iSODA, & SodaStream. Hurry! Limited time offers. Offers valid only while supplies last. Soda-club Co2 Adapter, Trinity Supply Tank Adapter for Paintball Co2 Tanks fits Soda maker beverage machines. Soda maker Co2 Tank Paintball Canister Adapter C02 Conversion, soda water machine co2 adapter to paintball tank. 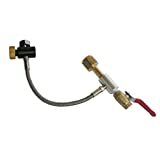 Home soda water machine accessory, Paintball 20 co2 tank with adapter. Soda water machine accessories, 12oz CO2 tank with adapter fits Home soda water beverage machine. 12 oz paintball co2 tank with adapter for home soda water beverage machine, soda water accessories. 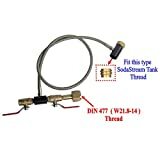 Soda maker Co2 Tank Paintball Cartridge Adapter Conversion Kit for Paintball Co2 Tanks, soda maker accessories. 20 oz paintball co2 tank with adapter for soda water machine, home soda water accessories. 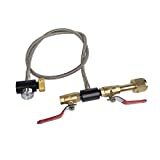 paintball co2 tank with adapter for home soda seltzer water beverage machine, Home soda water accessories. 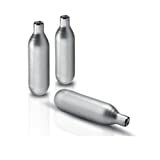 TRINITY Stainless Steel Adapter For CO2 Paintball Tanks, Can Be Use On Soda maker Beverage Machine. Soda water Co2 Tank Paintball Canister Adapter C02 Conversion stainless steel, seltzer water machine co2 adapter for paintball tank.